I'm working through OVRGrabber and OVRGrabbable without using OVRAvatar (so just OculusUtilities). After 24 hours of failure (and trying every variable combination under the sun), it's time to ask if I'm doing something obviously wrong! Player is an Empty GameObject with a Rigidbody and a simple movement script (Axis2D Primary and Secondary Thumbsticks). Touch Hands are 3DObject Cubes (with Box Collider, RigidBody, OVRGrabber and a simple script for touch controller movement) as a child of Player. 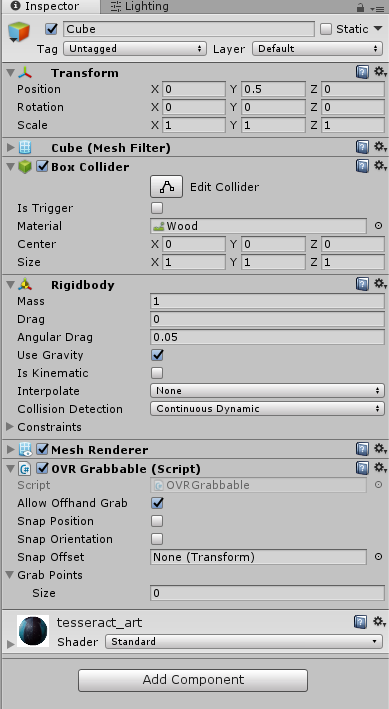 Object is a 3DObject Cube (with Box Collider, RigidBody and OVRGrabbale). 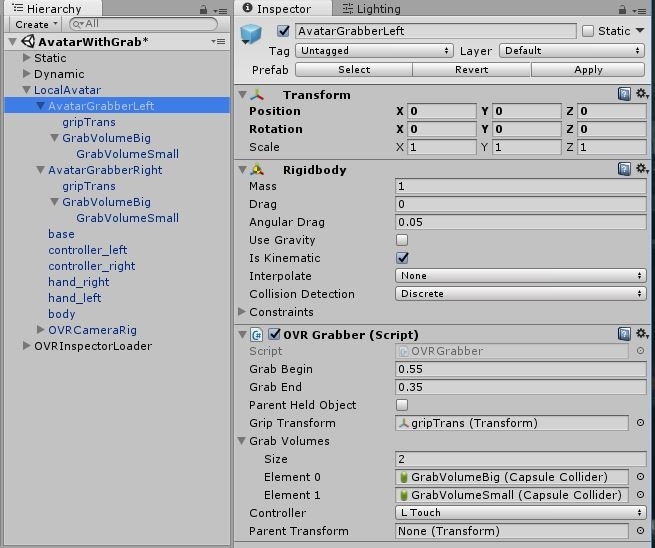 What needs to be done to enable grab? Main Camera is a child of Player. OVRManager is included in the scene as a child of an Empty GameObject. Unity 2017.1.3f1, Oculus Utilities 1.22, OVRPlugin 1.22, SDK 1.22. The AvatarGrabSample works great, as does ToyBox, so I know it's a problem with the build. 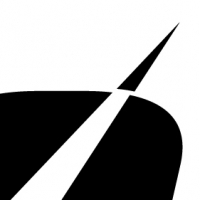 Hello, and welcome to the Oculus Developer Forums!